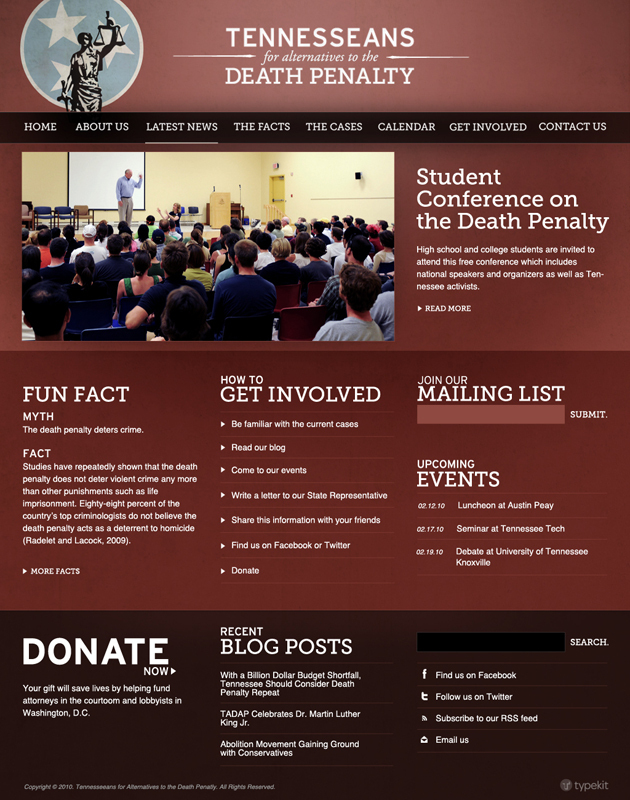 I designed and coded this site for the Tennesseans for Alternatives to the Death Penalty. Visually, the site needed to be clean and professional, providing a sense of trust and authority. Political, but not over the top. The challenge: there’s a lot of information and it needed to be organized and easy to navigate.